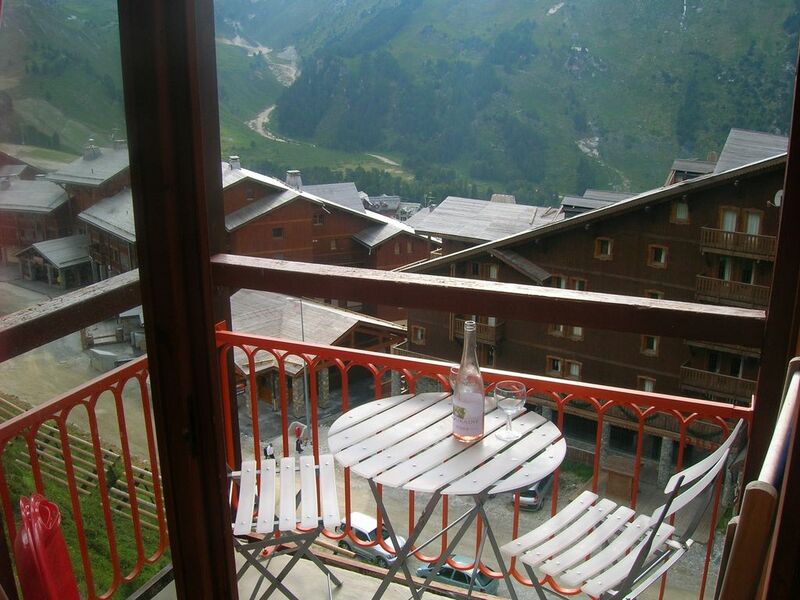 Cosy ski apartment in les arcs 2000, Central and a short walk to the slopes. Fond Blanc is based on the third floor only 3 minutes away from the slopes, easy access to all areas of the massive paradisski area. We have a double bed, a bed sofa and a bunk bed all with duvets and pillows. The kitchen as a two ring hob and a small oven. In the bathroom there is a bath and shower, with a separate toilet. The lounge and kitchen is open plan and has the sofa and table and chairs with a TV and DVD player with a good selection of films to chill out to and watch. The apartment has underfloor heating and two electric heaters. Also in the apartment is a baby cot, hair dryer, iron and board, radio/ iPod/ alarm clock, kettle, toaster. We have a balcony with views of the mountains and Mount Blanc. After about two the balcony is soaked in sunshine (if you are lucky !). english, Can communicate via email in all languages. I Love the mountains come summer and the winter, I wanted a high level resort to guarantee the snow, and to get as high as i can for downhill mountain biking in the summer.I fantastic massive area to explore even after 10 years. central and easy to maintain. No Buses to catch and snow sure from December to April. The shower runs off a tank which is always being heated so it will do four showers one after the other, baths take more hot water so the tank takes longer to heat up ready for another bath. Fantastic apartment right on the slopes of the paradise ski area in Les Arcs 2000, just 2 minutes walk to the slopes for ski in ski out resort with fantastic snow levels from begin of the season to the end. Great for mountain biking, walking, swimming, rafting golf and so much more in the summer and winter. Ski: Skiing is in the world famous Ski Paradise ski area which links with La Plange. A security deposit is required on booking of £200 which is returned after your stay, so long as the apartment is left clean and no breakages have been made, and the keys are returned within 7 days of your return in the pre paid envelope. The full amount of your stay is required four weeks before you travel.